Experimental limits on non-Newtonian gravitational force at length scales larger than 1 meter? but the largest length shown is only about a centimeter. but I can not understand the physics or the units. Question: Are there any experimental limits on non-Newtonian gravitational force at length scales larger than 1 meter? Is there some way to know current limits on non 1/r potential between say 1 meter and 1 AU? update: This has the unit-less expression I seek and the length scale of 1 meter and larger, but the experiment is based on a "material-composition dipole pendulum" torsional balance; one side of the dipole is four beryllium masses, and the other is four titanium masses. That's a specific type of short-range deviation. I'm looking for a limit on all possible sources. Perhaps none exists yet? FIG. 3: New upper limits on Yukawa interactions coupled to baryon number with 95% confidence. 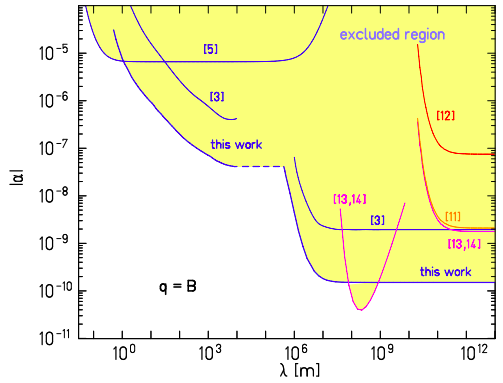 The uncertainties in the source integration is not included in this plot. The numbers indicate references. The shaded region is experimentally excluded. Preliminary models for 10 km < λ < 1000 km indicate that the limit on α is smaller than the dashed line. Browse other questions tagged gravity newtonian-gravity experimental-physics post-newtonian or ask your own question. Parker Solar Probe passing extremely close to the Sun; what relativistic effects will it experience and how large will they be? how do we navigate space without knowing the position of everything? wouldn't the gravity affect the sattelite/ship? Experimental considerations for measuring the gravitational constant/effects, with two large (1000kg) masses orbiting each other? Will relativistic glider cause lower gravitational force in Newtonian gravitation? Is there any experimental evidence to distinguish the total gravitational force exerted by the two proton and a helium nucleus? Does the larger object exert greater gravitational force on the smaller object? Why small planets are not attracted by larger planets due to gravitational force? Is the normal force smaller than gravitational force due to earth's rotation? Electric force much stronger than gravitational force? 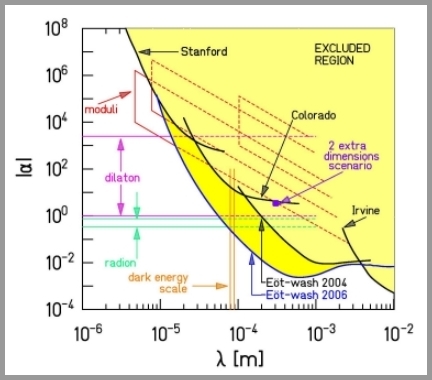 Experimental proof of length elongation due to gravitational field?